“Through all the difficulties and trials that beset her path, her Christian spirit shines forth, and in all her letters to her children, with whom she corresponded regularly until her death, there is found no complaining or ill-natured word”. Every now and then I hear a story that I just can’t get out of my mind. The story of Elizabeth Macarthur is one of them. The way she carried herself – despite her husband’s many errors of judgement – is admirable. Raising a family in a foreign country, working extremely hard when her husband was overseas for several years at a time and helping establish the Australian Merino industry, all while suffering deep personal anguish. And when I heard that Australian author Michelle Scott Tucker had just released a book about this heroin of mine, I had to get my hands on a copy. Quick stat! It’s been a long time since I’ve read a biographical work – and even longer since I’ve enjoyed one. But I cannot put this book down. Elizabeth Macarthur: A Life at the Edge of the World gives insight not only into Elizabeth’s world but the world around her as well – those tiny details of early colonial Australian life which impacted her daily routines and decisions. It’s an important story which Michelle Scott Tucker has chosen to tell. As one of our early Australian pioneers, Elizabeth Macarthur didn’t bring an incredible social justice penchant to our 18th century shores. She didn’t bring a talent for business or building or carpentry or any of the other skills necessary when building a new city. She brought something far more important: her devotion to family. Seen by many as Australia’s “first and greatest lady”, Elizabeth was determined to raise her children in a home filled with love and care. She worked alongside her husband John to build the Australian merino wool export industry and ran her home the best she possibly could, despite a lack of resources and community. And despite the fact she was grieving the tragic loss of two of her children. Her husband was an army officer, pastoralist and public figure and was known for conflicting with just about anyone in authority. Nevertheless, Elizabeth brought elegance and gentility as well as her natural charm and beauty to the harsh male-dominated convict settlement. 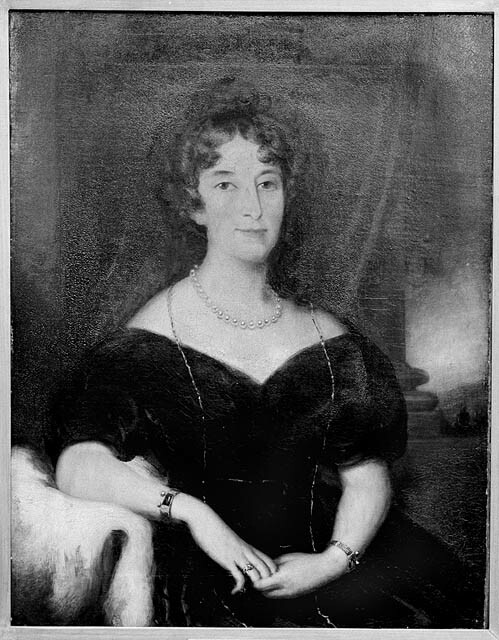 Right up until John’s first departure for London in 1809, Elizabeth held court amongst officers of the NSW Corps, naval officers and members of the colonial administration. Due to John’s aggression in later years, Arthur Phillip was the only governor able to enjoy her society but despite this, she is widely classed as one of the great pioneer women, independent of her husband’s work. Her reputation and the family life which existed within the walls of Elizabeth Farm – one of few in which ‘dignity and gentilities’ were maintained – in effect purchased immunity for the family, despite John’s violence and chaos, and Elizabeth and the children escaped any possible reprisal for his part in the now infamous rebellion against Governor William Bligh. Life was tough for Elizabeth. She left behind the comforts of an upper class English life and never again set foot in her homeland. She did what she could with what she had and made a huge impact on Australian culture. Who knows where we’d be, had she not bothered to fight for her family? May we never underestimate the power of a women on a mission. Elizabeth Macarthur: A Life at the Edge of the World is a great reminder of this.